Consumers are losing trust in local businesses because of errors and inconsistencies online, according to new research. New research from local SEO tool provider BrightLocal finds that in the last year, 71% of consumers have had a negative experience due to incorrect business information online – with 22% of these going to the wrong place because of these mistakes. 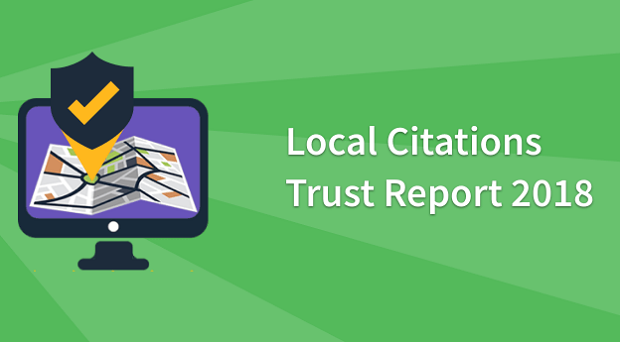 Local businesses in the USA are risking losing customers because of incorrect and inconsistent contact details and business details online, finds the results of BrightLocal’s Local Citations Trust Report. The study found that 93% of consumers are frustrated as a result of incorrect citations in online directories and business listings. BrightLocal’s study explores the extent to which consumers notice and value consistent details for local businesses online, and how this impacts their decision-making when choosing a local provider. It’s concerning news for local businesses, as 68% of consumers would stop using a local business if they found incorrect information in online directories. In the last 12 months, 71% of consumers had a negative experience because of incorrect local business information online – including calling wrong phone numbers (36%), visiting businesses outside of their cited opening hours (24%), and seeing different information for the business across different online directories/listings (24%). 22% visited the wrong location for a business because they saw a wrong address online. This is worrying for local businesses, as 40% said that they’d give up looking for a business if they couldn’t find it because the address was wrong online. 29% would go to a competitor. The Local Citations Trust Report finds that phone calls continue to be important for local businesses. When planning to visit a local business for the first time, a quarter (24%) call the business to find out the location. However, online searches are the most common way to find a business’s location – with 54% looking up the address before starting their journey, and a further 13% looking it up on the way. Misleading information is making consumers lose faith in businesses near them – with 80% confessing they lose trust in local businesses if they see incorrect or inconsistent contact details or business names online. When seeing an inaccurate listing, consumers are more likely to blame the local business than the directory that holds the information.